Who says you can’t have it all? 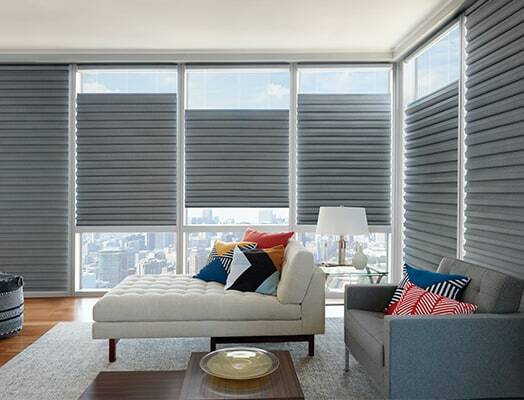 When it comes to Hunter Douglas energy efficient window treatments you can have beautiful and functional window coverings that not only won’t break the bank but can also help you reduce energy loss by up to 50%. Hunter Douglas energy efficient window treatments help trap air between the shade and the window preventing cold air from entering, hot air from escaping and vice versa. Vignette Modern Roman shades, created from soft, gently contoured folds of fabric, offer energy efficiency and a tailored look. These modern roman shades can be fully customized and are available in 12 richly textured fabrics to complement or enhance any décor. Each “honeycomb”, or cell, produces insulating pockets of inert air which can help reduce air flow from entering and leaving through your windows. 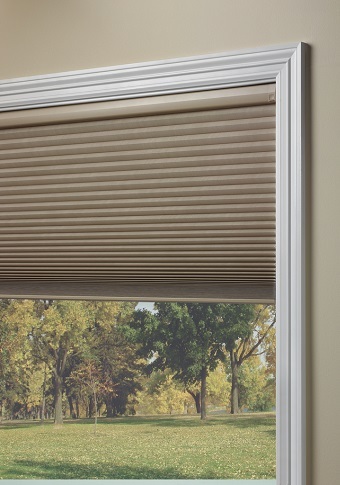 Sonnette™ Cellular Roller Shades combine the simplicity of a roller shade with the insulating construction of a honeycomb shade. 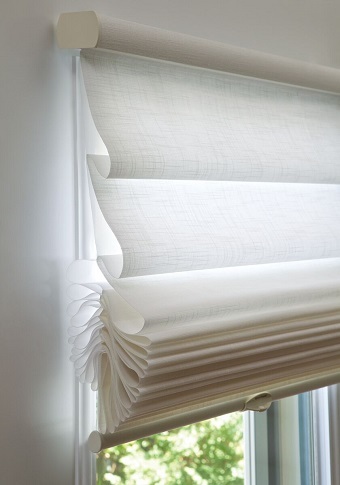 Sonnette shades are crafted with two fabric layers and softly curved contours that offer added insulation. Available in 48 colors, and opaque and room darkening textures, there are numerous combinations to choose from. To speak to a professional to learn more about Hunter Douglas energy efficient window treatments for your home or commercial space contact us today!